Part two in my three-part series on how Interruptions can be game changers. You can find part one of this series here. An online ad service provider paid Quest Software to conduct three one-day training courses of Toad for Oracle at their headquarters. Customers pay for effective transfer of knowledge. So as an instructor, I have to pay attention to proper cadence through content, exercises and hands-on labs in order to satisfy agreed-upon objectives. The first day of Toad training at this customer goes as planned, and we manage to meet all training objectives. On the second day, a “problem” arises even before the class begins. A handful of the folks who attended the first day have now shown up for the second day, in addition to the 25 new students for the day. I tell them that the content will be the same, but they beg to stay. The “problem” is that policy caps the class-room size at 25 students. After discussing this with my customer liaison, we jointly decide to allow the extras to stay. We bring in more chairs from various other rooms to accommodate the extra crowd. We successfully—but just barely—complete our objectives for the second day, despite an unusually high level of interaction from the students. On the third training day, the “problem” expands in scope, like a brewing storm front. Word had apparently spread within the organization about the benefits of the Toad class, and Toad users who aren’t officially on the roster have now shown up unofficially invited on this last day. Once again, my liaison and I relent—it’s hard to say no when users are so excited about your product!—and we scrounge the building facility for more chairs and desktops. The room is now over capacity, with students paired two or three at each workstation. I “deputize” several students to be my assistants because of the large size of the group, and we make decent progress through the labs. But by mid-afternoon we are behind schedule. I convince myself that I can complete the day’s objectives if I demand strict discipline and focus from the class. I ask the class to respect my wishes and hold questions. A few minutes later, however, a curious student asks a question. It’s an easy one. Surely answering this one little innocuous question won’t impact us too badly, will it? I demonstrate the steps within Toad to answer the question, prompting the student to interject with a follow-up question. No sooner do I respond, than another student interrupts with her related question, barely allowing me to finish my show-and-tell. This happens five or six times non-stop. It’s an interruption flurry, and I’m getting very nervous about weathering a potential storm that may keep me from finishing the day’s training agenda. I hold up my hand to explain that if we keep this up, I won’t be able to complete the agreed-upon objectives. Ironically, though, a student interrupts me in the middle of my plea to hold all interruptions. Did he not hear? Doesn’t he care? The thought occurs to me that I am losing my grip on the class, not unlike the feeling of losing control of my car down a mountain road during an ice storm. I slap a smile on my face to hide any hint of panic welling up inside. The student’s question once again triggers several more questions rapid-fire style after my replies. At this point, I make a decision to disrupt this scene with as much comic relief as I can muster without showing my annoyance, or setting anyone on edge. “Whoa, whoa, whoa! Time out!” I exclaim in a fun, high-pitched animated stage voice. I make it uber-obvious that I’m stepping way out of character both as an instructor and as a person. But then again, the class is stepping out of character. Something has to be done. And a silly idea starts to whimper at me from inside. Two of the students respond rather excitedly. It’s not that they don’t hold the agenda important, but simply put, the group is excited to explore all that Toad has to offer. As I listened, it dawns on me that these men and women are like kids in the proverbial candy store. They have stepped into the candy world of Toad, and they are eager to taste-test the cotton candy of coolest capabilities. The whimpers of my idea are steadily getting stronger as I ponder my next step. I hear the clock tick on the wall behind me. And as I continue to look at the eager faces of my students, my idea has now somehow matured quickly into a wild pesky thing that is barking at me to release it into reality’s unsafe blizzard. “Permission granted,” voices the liaison, letting me barely get the words out. The classroom erupts in approving cheers and nods, and one fist pump. My students are eager to chuck the limiting ball-and-chain that is our training agenda. From that moment onward, we have a no-holds-barred question-and-answer, show-and-tell session that stopped only because the liaison was forced to end our day, almost an hour later than it was supposed to end. What happened that afternoon was magical and life-changing for me. Teacher to Student in 6.5 Seconds. I broke the world record that day for quickest transformation from instructor to student. Questions that afternoon forced me into some of the deepest crevices in Toad, places where I’d never been. I learned more about my own product: things I never knew. 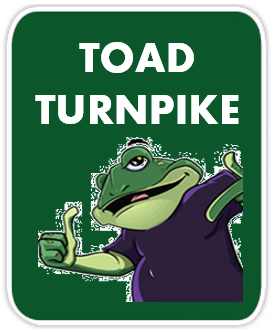 I also quickly learned to shed my self-imposed guilt-trip that I should know all things Toad. It’s ok at times for teachers to be students and to learn right along with the class. The Way Things Work. That afternoon gave me a glimpse into how users’ minds work. Students felt suddenly free to articulate unabashedly which use case flows work for them in the product and which do not. Suggestions freely flowed on how to improve the product. I came away that day with pages of feedback for our Product Manager. Some features in Toad are there to this very day because of what I heard in class that one afternoon. Collaboration Frosting. Lectures and hands-on exercises have their important place in training methods. But I learned that day that conducting a training class without leaving room for some collaboration is like eating a bland sugar-free carrot cake without the butter cream frosting. We’re not talking only about teacher-student collaboration. We’re talking about fostering an environment where students can become teachers, peers learn from their peers, and the sharing of their experiences help solve each other’s problems. Good Vibrations. At the end of that third day, at least a dozen people came up to me to exclaim that this was the best training class they had ever experienced. The excitement was mutual. Was I the best instructor in the world? Hardly. But I was excited because my students were excited. I was excited to have made a difference. I was excited because I felt welcomed and accepted, like part of the customer family. Secret Ingredient. Most of all, I was excited to have rediscovered the secret sauce that all world-class instructors, trainers, and other professionals use to flavor their customer service skills: listening. It was a listening mode that rocketed me to student status, to empathize, to understand how creative and resourceful the users of my product are. Listening allowed me to document some great product enhancements. It was listening that lifted the class from off the launchpad of ground-zero interaction levels and accelerated it into the richer ozone layers of collaboration. Listening binds a vendor to its customers. Because customers have much to say. We just need to let them interrupt more.